Team WLGO WLGO: Last Day to Register! WLGO: Last Day to Register! 1 day left! WLGO is coming down to the wire and courses and players are working tirelessly to raise money for Fisher House Foundation. In the past two weeks, more than 2,500 players have signed up and $90,500 was raised! 103 courses across America are set to host the highly emotional and entertaining event. 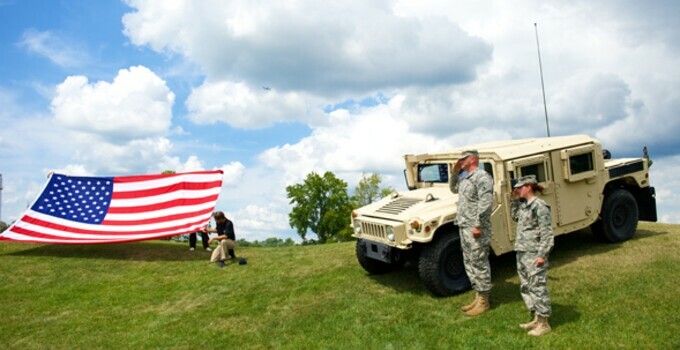 The military will be honored with moments of silence, ceremonial tee shots, standing ovations, national anthems and color guards, patriotic decorations adorning fairways and greens, on-site military vehicles and more. This year, 5,000 players and counting will participate in WLGO under a common goal—to raise money for Fisher House Foundation, supporting military members and their families. So far, over $215,000 has been raised, with thousands more donated daily. Recently, members of our WLGO Team had an incredible opportunity to visit the Fisher House in Dover, Delaware and speak with one of the staff members about the missions and impacts that their Fisher House. Since 1990, Fisher House Foundation has provided a “home away from home” for families of patients receiving treatment at major military and VA medical centers. Its network of 76 comfort homes has provided more than 335,000 families with no-cost lodging, allowing them to be close to loved ones undergoing treatment and recovery. One $10 donation covers costs to house a family in a Fisher House for one night. Golf Channel will feature coverage of WLGO on their morning talk show “Morning Drive” and will highlight WLGO participants, donations, representatives from Fisher House, and event celebrations. Alex Elmore, President of Billy Casper Golf, also will join the show to discuss the biggest one-day celebration of golf and charity. Tune in on Golf Channel on Monday, August 6th at 7:00 AM!